The titles alone, "The Blessing of a Skinned Knee" and "The Blessing of a B Minus" delight me for, as a teacher, I so often shared Mae Carden's perceptive insight with parents: "Show me the C student; he'll be the successful adult." This is not to belittle getting A's or B's, but to acknowledge that there are many avenues to success and often it's the striving that is the true lesson. The author of these two books, Wendy Mogel, is coming to town and if you want to partake of her wisdom, you had best make your reservations early. This speaker event, sponsored by Gateway, Mount Madonna, York Schools and Cabrillo College, occurs only once a year. Read the article about Dr. Mogul and act now. These speaker series always sell out! I don't often "do nothing", however the more I think about doing nothing, the more appealing doing nothing becomes --mostly because I usually am so caught up in doing something. 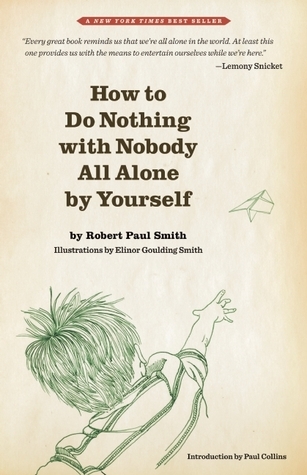 So I am looking forward to reading How to Do Nothing with Nobody All Alone By Yourself, reviewed in today's newsletter. With Valentine's Day rapidly approaching, a discussion of adolescent friendships seems timely. I recently read an opinion that "loving someone takes a lifetime of work". Now there's some food for discussion! I daresay the advice for adolescents may also be good for us adults. The Santa Cruz Police Department is good at communicating. I'm sharing their recent news about Code Red. Participation is your choice! We share Christine's Science reports with you so you can have a fun, interesting topic to bring to the dinner table or anywhere! Enjoy! Through her signature use of psychological research, coupled with timeless Jewish wisdom, disarming candor and quick wit, Dr. Wendy Mogel is known for guiding parents through the rough waters of child-rearing - adding a measure of joy and humor to their voyage. Drawing on insights from more than three decades in clinical psychology, hilarious anecdotes (and sound advice) from school and camp counselors and eye-opening conversations with middle and high school students, Dr. Mogel unravels the paradox of good-intentioned parenting gone astray and advises parents on how to adopt a kinder, firmer, and more effective approach to daily family life. Dr. Wendy Mogel, clinical psychologist, author, and research and policy advisor for Challenge Success, a program of the Stanford University School of Education, will be the featured presenter at a public lecture on Thursday, February 19 at Cabrillo College in Aptos. Dr. Mogel's lecture, at 7:00pm in the college's Crocker Theater, is FREE but space is limited. Reserve your seat at: http://tinyurl.com/DrWendyMogel. The event is co-presented by Gateway School, Mount Madonna School, York School, and Cabrillo College as part of their annual Speaker Series on Education. "The purpose of the speaker series is to bring together parents, educators, and civic leaders to learn from leading scholars and researchers about best practices in teaching and learning," said Dr. Zaq Roberts, Head of Gateway School. Supriya McDonald, Co-Head of Mount Madonna School, agreed. "The speaker series helps to inspire dialogue around improving education and provide a shared experience that opens parents and teachers to another perspective. Dr. Mogel's presentation style is warm-hearted, intuitive and humorous, yet grounded in research and practical life experience. Her anecdotal stories are easily understood and provide a soothing balm for anxious parents, students and educations." In addition to working with Stanford, Dr. Mogel serves on the scientific advisory board of Parents magazine, and on the board of the Counsel for Spiritual and Ethical Education, a century old interfaith organization serving private schools. She contributes articles to a variety of publications including Independent School, Parents and Camping magazines and is regularly featured as a guest expert on the Today Show, and in interviews by reporters from The New York Times, The Wall Street Journal, Forbes, Newsweek, Chicago Tribune, CNN, and NPR. "As educators and parents, we are very aware that the social and emotional health of our children may be the single most influential factor in their learning," said Chuck Harmon, Head of York School. "We invite you to join us to hear from Wendy Mogel, an internationally acclaimed speaker and writer, about how to raise happy, resilient children." Cabrillo College is located at 6500 Soquel Drive, Aptos, Calif. General parking is available in the Cabrillo College self-pay parking lots. Pay stations accept cash or credit card for the $4 fee. A celebration of makers and hackers from half a century before they were called makers and hackers. Legendary psychoanalyst Adam Phillips has written beautifully about why the capacity for boredom is essential for a full life and Susan Sontag contemplated the creative purpose of boredom. Perhaps we understand this intellectually, but we - now more than ever, it seems - have a profound civilizational anxiety about being alone. And the seed for it is increasingly planted in childhood - in an age when play is increasingly equated with screens and interfaces, being alone with a screen is not quite being alone at all, so the art of taking joy in one's own company slips further and further out of reach. I remember my pre-teen and teen years like they were yesterday. So much of my life revolved around school and friends, for better or worse. Friendships constantly changed as people, interests and the degree of parental supervision changed. Sometimes I was the one changing, while other times it seemed like everyone around me changed, making old friends unrecognizable. It was an awkward and exhilarating time of life, filled with both painful moments and endless possibilities. I'm so glad to be an adult now. My 6th grade daughter has had the same best friend since 1st grade. I always thought they got along well, but she didn't invite her best friend to a recent sleepover. When I asked why, my daughter said her friend had been ignoring her at school and excluding her from group conversations, and that this has happened for years. She said it will eventually stop and they'll go back to being best friends. I'm wondering how could I have missed this for so many years? Should I be worried? The Santa Cruz Police Department uses the Code Red Emergency Notification system through the Santa Cruz Regional 911 dispatch center to notify community members of an active emergency situation. With the growing trend of households giving up their traditional landline phones and going completely cellular, we have found some people are being left out of the information loop during these emergency situations. To help ensure you are not left out, the Santa Cruz Police Department encourages community members to register their cell phones with the Code Red Emergency Notification system and associate their cell phone numbers with their residence or business. On the home page, all you have to do is click on "Register your Cellular or VOIP Phone for Code Red Emergency Notifications". That link will take you to a page where you list your name, address (residential or business) and phone number. It's that simple! To quickly and easily register simply click here. The Code Red Emergency Notification system also provides a mobile app that can be downloaded onto your cell phone through the Apple Store or the Google Play. The app provides a location-based multimedia alert system. You will be required to activate your GPS services so the system can send you alerts based on your location. Subscribers within the location of an alert issued by a public safety organization using the Code Red Emergency Notification system will receive alerts through this application. Simply click here to begin the process to download the mobile app either for an iphone or Android. Once you are on the home page, you click on "Code Red" and that will take you to this page below. You can watch a video that talks about how the system works and can begin the downloading process by clicking "Code Red Mobile Alert app". This will present the option of going to the Apple Store or Google Play. The Santa Cruz Police Department and the Santa Cruz Regional 911 dispatch center strives to keep community members informed with up-to-date public safety information and strongly suggests the community to stay connected with valuable information. By going to either one of these websites above, you can be connected either at home, work, or on the road. You can also receive alerts through the Code Red Emergency Notification System while in another jurisdiction that uses this same system. Enjoy free admission to the Seymour Center all day! Come touch a friendly shark, see how marine scientists work, and take in the spectacular Monterey Bay. Our exhibit hall offers a deeper dive into the adventure of ocean research here in Santa Cruz and around the world. While some children readily share their thoughts and emotions, others keep their feelings private until they are ready to share. It's a good sign that your daughter trusts you enough to share what's been going on. Ask how she feels and what she does when her friend ignores and excludes her. Start with open-ended questions - "How does it make you feel when she does that?" "What do you do when she ignores you?" - then gradually ask more specific questions to gauge whether your daughter is struggling to deal with her friend's behaviors - "Do you feel like that works?" "Does that make the situation better, worse, or the same?" Look and listen for clues about how your daughter is coping with her best friend's behaviors. If your daughter becomes upset or talks about being isolated and lonely, that gives you an opening to discuss what else your daughter would like to do and if she'd like you to get involved. If your daughter describes other friends and social activities she enjoys, then you might need to let her continue handling her friend's behaviors in her own way. Show empathy and acknowledge healthy coping strategies. Let your daughter know that her feelings are valid - "It's OK to be sad when friendships change" - and recognize her efforts to cope with the situation - "That's very mature to say that you don't like your friend's behavior, but you still value her as a person." Encourage your daughter to continue building and maintaining healthy friendships. Peer pressure and the desire to be "popular" can often overshadow common sense about what constitutes a healthy relationship. Ask your daughter how she defines a "good friend" and what behaviors she will and won't tolerate from friends.. Encourage or create opportunities for your daughter to participate in a variety of activities to develop a diverse set of interests and friends. Be available to listen, talk and provide support. Hold off on offering advice or solutions unless your daughter asks for it. Try asking, "Is there any help or support that you'd like from me when this happens?" to find out what support would be most helpful to her. Then let her answers guide your actions. Final Thoughts: Navigating friendships during the tween and teen years is hard. So is finding the right balance between being a supportive and protective parent. Adolescence (and raising adolescents) is tough, with all the awkward physical changes, raging hormones, mood swings and rebellious streaks during these glorious years. And yet, as painful as it may seem, learning to cope with the highs and lows of friendships helps adolescents develop valuable coping, communication and social skills they will use throughout life.